Developers of manufacturing software systems, Wonderware needed to generate interest in their annual Showcase event. Their target audience included process manufacturers in the pharmaceutical, petroleum, and food & beverage industries. Las Vegas had been selected for this year’s Showcase location. The client wanted to build excitement about the Las Vegas location, while getting the audience to remember the date. 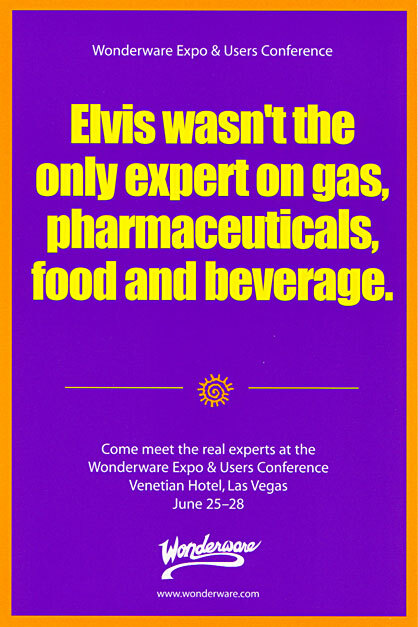 Who better to tie in manufacturing and Las Vegas than Elvis?